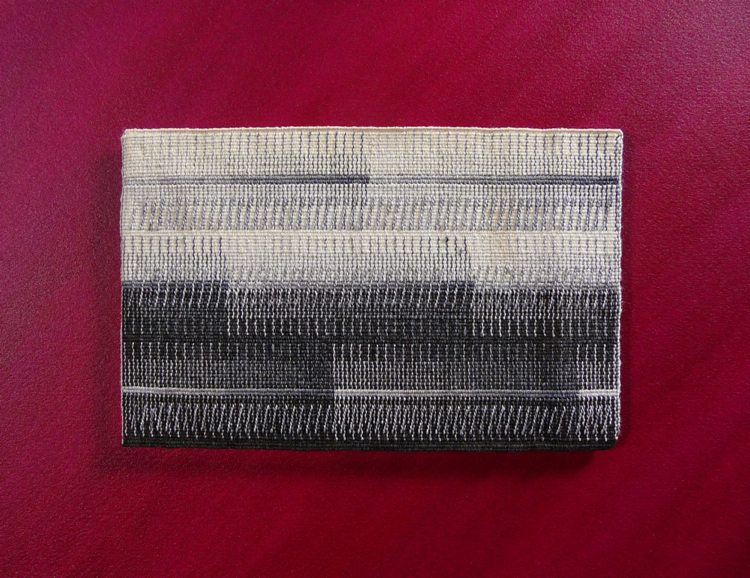 Etude 1, 9.5" x 12"
Joyce Hayes is a Seattle-based artist who has been weaving small-format tapestries since 1998. I have a BFA in printmaking and textile design form Miami University of Ohio. These tapestries delve into the delicate dance between color, value and line. I am exploring the technique of hatching which is common to both traditional printmaking and tapestry. Instead of using hatching as a shading device to create volume, I have streamlined it to be a two-dimensional graphic design element. Inspired by my interest in music my color palette is designed to ebb and flow much like the shifts of sound and harmonic progressions in music.